60mm H-alpha solar filter system with B1800 blocking filter, for front mounting at telescopes with 1.25" focuser, and up to 1620mm focal length. 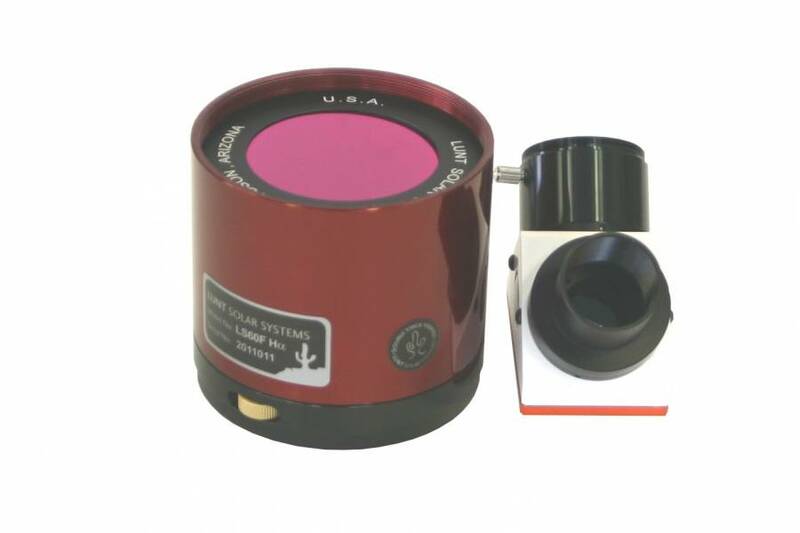 The LS60FHa H-alpha Etalon filter system with 60mm aperture (no central obstruction) for use on any refractor and many other telescopes. Because the LS60FHa has an estimated bandwidth of <0.75 Angstrom it is capable to providing high contrast views of both solar surface and edge detail (prominences). The system includes the B1800 blocking filter, which is usable for telescopes up to 1620mm focal length. Larger blocking filters suitable for longer focal length are also optional available. The blocking filter is installed in a 90° star diagonal for 1.25" focuser. This diagonal is equipped with a reception for 1.25" eyepieces and a T2 camera connection. Adding an additional available double-stack Etalon system will reduce the bandwidth to ~<0.55 Angstrom.